Titagarh Wagons, Texmaco Rail and BEML plunged over 40 per cent each on the back of the weak earnings and order inflow. Shares of railways-related companies underperformed the market by falling up to 57 per cent in the last one year. Titagarh Wagons, Texmaco Rail and BEML have plunged over 40 per cent each on the back of the weak earnings and order inflow. ABB India and Siemens have slipped 23 per cent and 22 per cent, respectively, while Larsen & Toubro (L&T) and Hind Rectifiers were down 8 per cent each on the BSE in the past one year. In comparison, the S&P BSE Sensex had gained marginally 0.11 per cent at 36,006 points at 11:30 am on Thursday. Titagarh Wagons (TWL), the largest loser among the pack, was down 57 per cent in past one year. The company reported 59 per cent year-on-year (YoY) fall in its standalone net profit of Rs 5.99 crore for the trailing twelve months ended September 2018. TWL is the largest private sector manufacturer of railway coaches (EMUs, MEMUs) and the largest wagon maker (other than Railways) and the largest exporter of wagons from India. The company had posted a consolidated net loss of Rs 147 crore in the financial year 2017-18 (FY18), against profit of Rs 27 crore in FY17. The company said the performance of the company during the year was below expectation due to lack of orders from the Indian Railways for wagons. 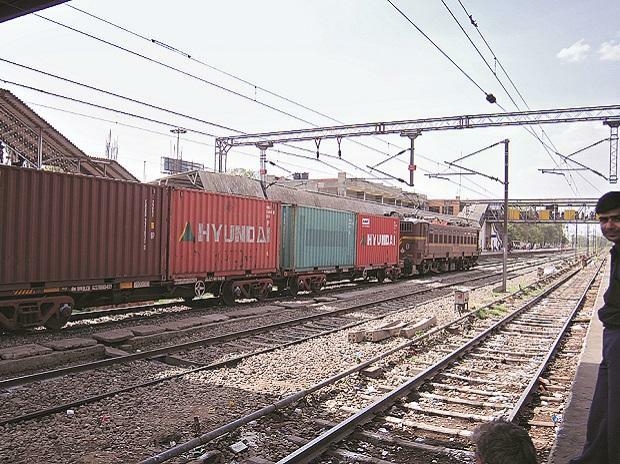 During the FY18 the company’s performance on a standalone basis declined sharply as compared to the previous financial year mainly due to delay in the release of wagons procurement order by the Indian Railways, the largest customer of the company, Titagarh Wagons said in FY18 annual report. Texmaco Rail posted standalone net profit of Rs 46 crore in trailing 12 months ended September 2018, against loss of Rs 8 crore in previous year. The stock had slipped 47 per cent in past one year. The company’s consolidated net profit for FY18 however, more than halved to Rs 12.65 crore from Rs 29 crore in FY17. The Wagon Division performance remained subdued on account of supply chain challenges faced by the company's various sub-vendors which is now gradually stabilizing. Against the tender of lndian Railways for 21,758 wagons, the company is fairly placed to secure its share of business on finalization of orders by Railways. The company is hopeful to show an improved performance during the forthcoming quarters with stabilization of the supply chain. The demand for wagons from private sector continued to remain buoyant; Texmaco Rail said in an annual report. LTP: Last traded price on BSE in Rs at 11:30 am.